Craterellus are some of the best known mushrooms in the world - notable for their subtle beauty, pungent aroma, and delicious flavor. The trumpet-shaped fruitbodies have smooth or veined fertile surfaces, but never have true gills. Along with their dark black, grey, or brownish tones, they are quite distinctive. 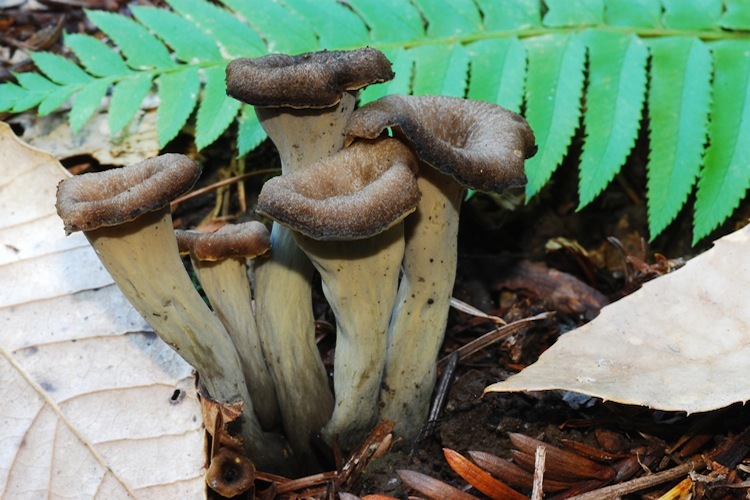 Similar genera include Thelephora (more ragged-edged and not funnel-shaped), and Polyozellus (with dark blue tones). 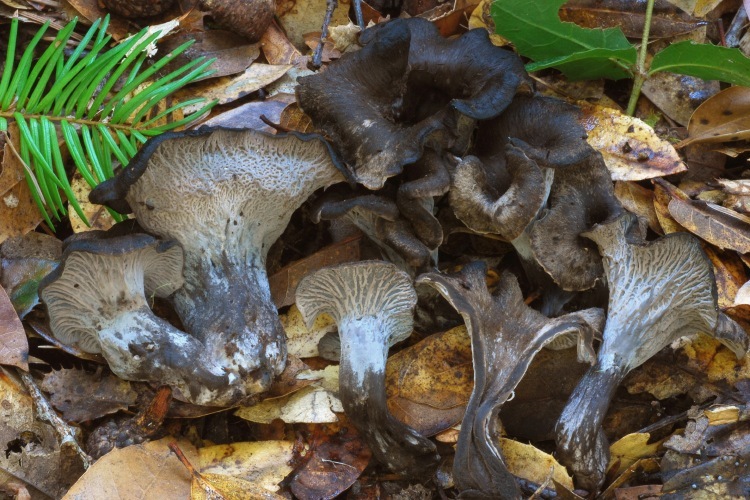 Craterellus are ectomycorrhizal, in our area with oak and tanoak. The two species in our area are easily told apart by paying attention to the following Important identification characters: texture of the fertile surface (smooth or veined and ridged? ), color of spore deposit - pale or more ochre (or even salmon in one supposed species! ).